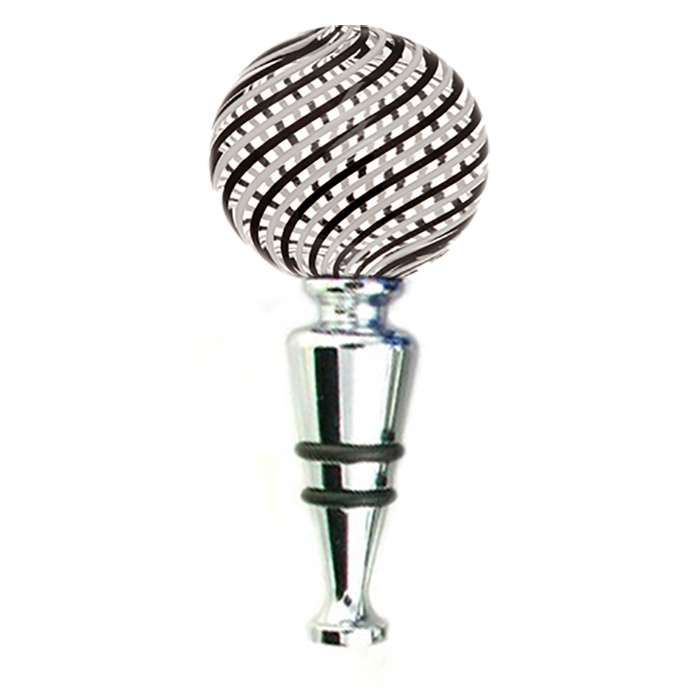 Wine stoppers make a wonderful gift for any occasion, and these blown Murano glass stoppers are no exception. 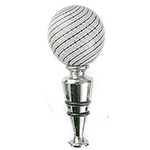 With a blown glass ball approximately 1 1/2 inches in diameter, these stoppers are slightly smaller version of the LF-TAPPI. Made from Moretti cane, each blown glass ball is handmade in Murano and set atop a stainless steel stopper with rubber seals. Size may vary slightly due to the handmade nature of these items. The color is Black and White spiraled.